If any of you have been following my column the past two years, you would know that I am a pop culture junkie. Every year I write about going to AwesomeCon, a convention of comic books, movies, and all things pop culture. Well this past November we lost an iconic writer, editor, and publisher – Stan Lee. 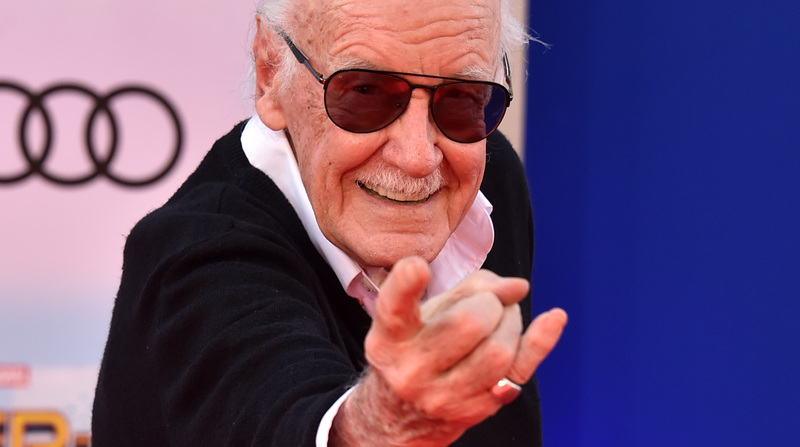 Stan Lee was responsible for such characters as Spider-Man, the X-Men, Thor, Iron Man, Black Panther and the Fantastic Four. Even though this strays from my usual banter on social media trends and events, I feel like we should talk about how this man’s creations made him a real life superhero to comic book lovers everywhere. Stan Lee was born December, 28th 1922 in Manhattan to Romanian born Jewish immigrant parents. Stan began his writing career by writing obituaries for a news service and press releases for the National Tuberculosis Center. Yet, with the help of his Uncle he was able to become an assistant in 1939 at Timely Comics. By the 1960’s Timely Comics would evolve into what we now know as Marvel Comics. Stan Lee described his duties as prosaic. “In those days the artists dipped the pen in ink, I had to make sure the inkwells were filled. I went down and got them their lunch, I did proofreading, I erased the pencils from the finished pages for them.” Eventually he made his comic book debut with the text filler “Captain America Foils the Traitor’s Revenge” in Captain America Comics #3. Later he moved on from just writing filler to developing his first superheroes, Destroyer, Jack Frost, and Father Time. In 1942, Lee entered the United States Army and served as a member of the Signal Corps, repairing telegraph poles and other communications equipment. He was later transferred to the Training Film Division, where he worked writing manuals, training films, slogans, and occasionally cartooning. His military classification, he says, was “playwright;” he added that only nine men in the U.S. Army were given that title. In the 1960’s Lee was assigned by Marvel Publisher, Martin Goodman to come up with a new superhero team in response to DC Comics, Justice League of America. At this time Lee was not happy with his job and was thinking of changing careers, so Lee’s wife suggested that he experiment with his stories and take risks since he was planning on changing careers and had nothing to lose. Lee acted on that advice and gave his superheroes a flawed humanity, a change from the usual superheroes that were typically written for preteens. Lee introduced characters that could have bad tempers, fits of melancholy, and vanity; bickered amongst themselves, worried about paying bills and impressing girlfriends, got bored or were even sometimes physically ill. This led to the creation of the Fantastic Four, Hulk, Thor, Iron Man, X-Men, Doctor Strange, Spider-Man, and eventually the team known as The Avengers. In one of Stan Lee’s messages to fans, he truly shows his character; he left us with words that America truly needs. Stan Lee created a Universe that allowed us to escape, yet be where we can relate, cry, fist pump, and laugh at. His legacy will live on, and as he would say, EXCELSIOR! EVER UPWARD!